A NASA mockup of Boeing’s CST-100 Starliner spacecraft. Boeing has delayed two critical tests of its CST-100 Starliner crew capsule following an engine failure during another test in June, setting back the timeline for its plans to use the craft to shuttle crew back and forth from the International Space Station or other possible future in-orbit destinations as part of NASA’s Commercial Crew Program. According to the Verge, during a press call with reporters, Boeing said that the its first unmanned flight test of the seven-passenger capsule (using an Atlas V rocket) has been moved from August to later this year or even 2019. A subsequent test with crew on board originally scheduled for November won’t be happening until at least mid-2019. Finally, another test of the Starliner’s potentially life-saving pad abort system—which uses four small engines to push the capsule away from a malfunctioning rocket—will be moved from this summer to early next year, the Verge added. At issue was a malfunction last month of the Starliner’s launch abort systems wherein the engines fired properly, but malfunctioning valves led to a leak of toxic hypergolic propellant, according to Geekwire. The incident didn’t lead to injuries or equipment damage, but Boeing has to resolve the underlying issues before it can move forward with its test schedule. “We have a dedicated team of both ourselves and the contractor working diligently on those corrective actions,” Starliner vice president and program manager John Mulholland told reporters during the call, per the Verge. Geekwire added that Mulholland said the team has already identified the issues (previously reported to be weak springs in the valve system), and that the uncrewed test flight has been moved to the earliest position because it does not involve the launch abort system. Multiple reports from the Government Accountability Office predicted that the milestone flights for the Commercial Crew Program would fall behind, and that Boeing’s vehicle would not be certified to do regular trips to the ISS until February 2020. 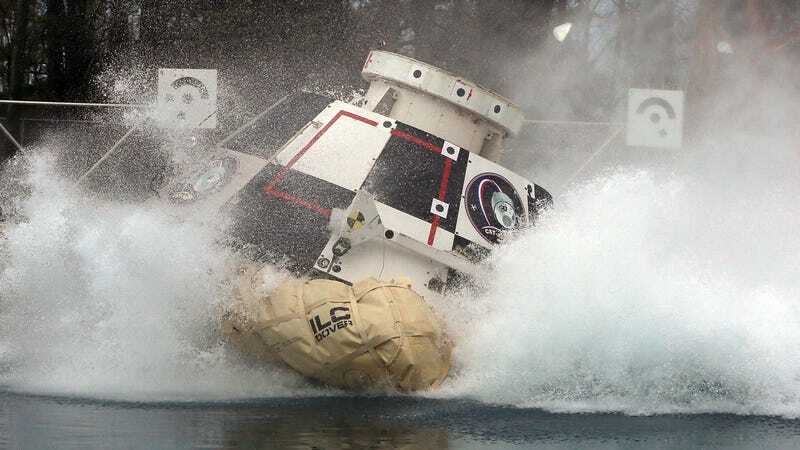 It’s unclear if this failure will change the GAO’s assessment of the Commercial Crew timeline. But Boeing claims that its test program is 80 percent complete at this point. Both Boeing and rival SpaceX are falling behind in their projects to build craft that can be used after the expiration of NASA’s contract with Russia to use Soyuz capsules in November 2019. Both Starliner and SpaceX’s Dragon capsule were supposed to be ready in 2017, but delays in both design and the certification process have contributed to pushing the timeline back significantly. The result could be a gap in which NASA is not able to deliver astronauts to orbit for nine months or even more, which would be very damaging to the U.S. space program. According to the Verge, SpaceX is still scheduled to conduct unmanned testing of the Dragon capsule in August and crewed testing in December, though that timeline is likely to also be set back. Mulholland told the site he had “no visibility” into the rival company’s schedule. The first Starliner crew announcement is set for this Friday, with Geekwire naming final space shuttle mission commander and Boeing executive Chris Ferguson as one of the most likely candidates.